Made it to Neels Gap today, which was my goal and is also a very popular drop out point, my spirit is good and I’m having a blast! 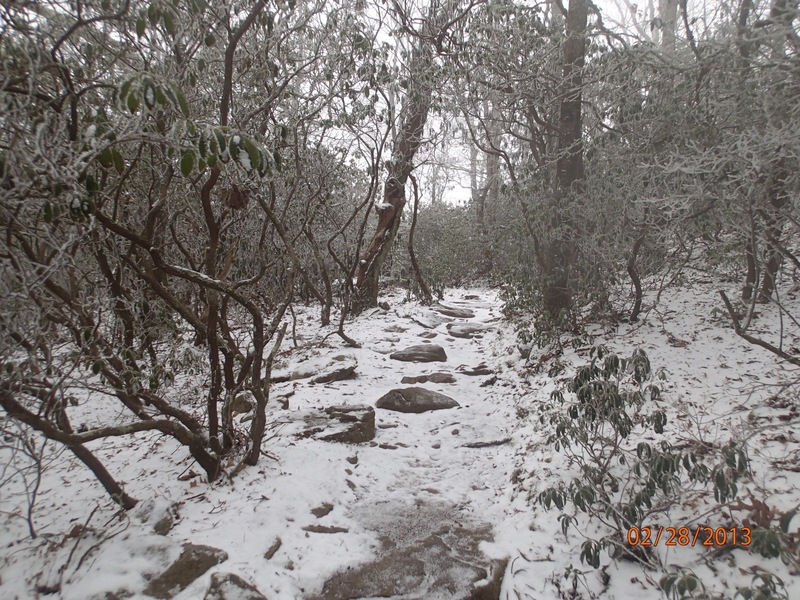 I have not had temperatures above 50 degrees, with a full day hiking in 38 degree rain and finish today in snow. Met some folks, hung out with some folks and having a great time…first shower was awesome after 4 days! 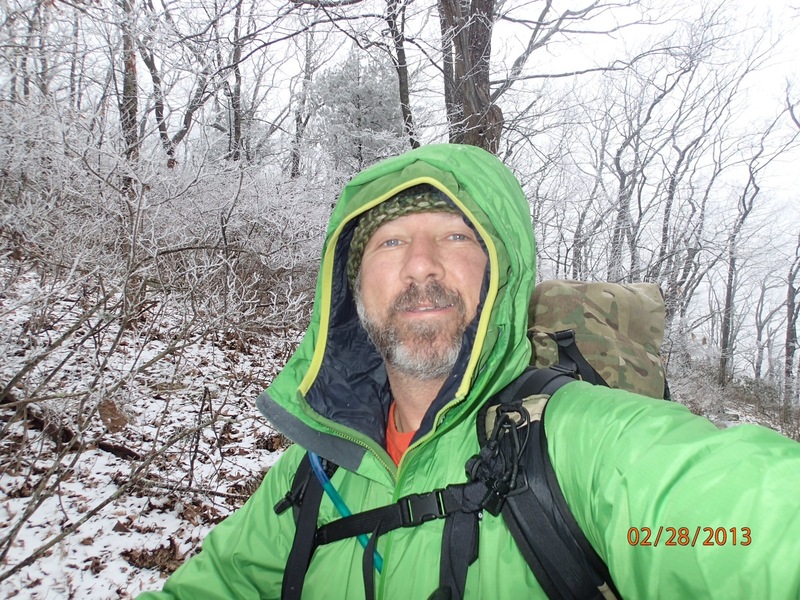 Well it’s 12:20AM and I am officially 49 and in about 9 hours I will start my thru hike of the AT, walking 2180 miles from Georgia to Maine in 6 months. I feel confident. I know I could be in better shape but that will fix its self on the trail. I know my pack should be lighter but that will fix its self on the trail. Slack pack up the falls with old friends Matt and Jon and new friend Dave. Got to the Southern Terminus, signed in and snapped a shot of the endless, or so seemingly, range of mountains I would be crossing! 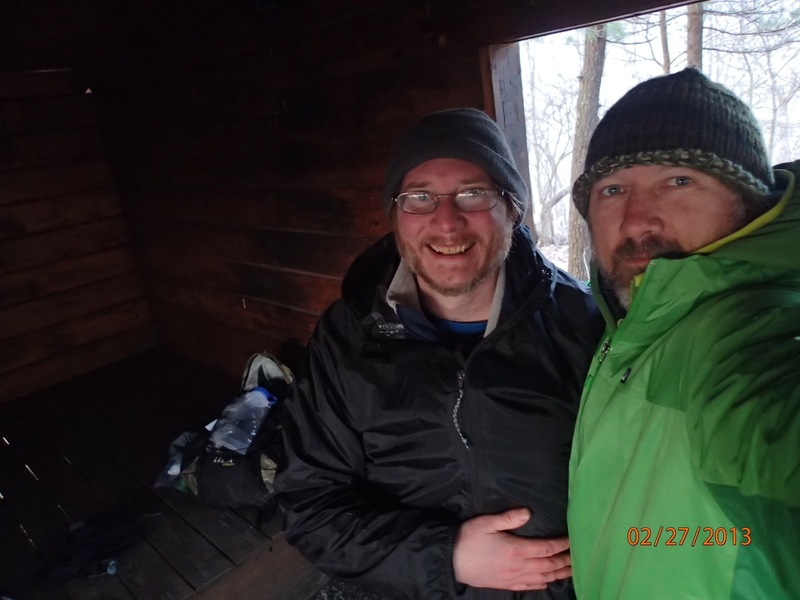 Said my good byes at the springer mountain parking lot and instead of heading back up to the springer shelter (1 mile in the wrong direction) I headed to the Stover Creek Shelter to celebrate my 49th birthday! Everyone was crashed except for Sunflower but she followed suite quickly. I had the shelter to myself and slept pretty well…I just need to learn not to wake at every little sound! Temperature got down to about 40 at night but slept nice and cozy! Light day to Hawks Mountain Shelter about 5.4 miles, got here early and finished off my sausage for lunch. Met up with some of the folks I saw at Stover Creek and pitched the tent for the first time. Everyone seems to be in high spirits and talking about trail names and gear and being out here the first few days. So far I have met Agent D, a guy a little younger then me hiking a little faster. Another guy that is going by Jetasin or Jet for short, and older couple called Foodwalker and I think McGuiver, a girl from Jersey with no trial name and another gal hiking it solo who is 39. A youngish couple hiking a year after being married (should be interesting) and finally a father is on the trail with his 18 year old twin daughters…they wanted to thru hike before starting college in the fall. I have hit the sack (literally) early, as there is really nothing else to do and all is quiet around me except the howling of the wind, which is very strong at 3800 feet! Imagine standing at the end of a runway and and you hear a plane (a big jet) approaching from the far end taking off. the roar is distant but gets louder and louder until it is right on top of you and deafening…that is the wind on is mountain top! I’m glad to be testing my tent but hoping that it doesn’t rain! Well, tent test did not go too well…it did rain all night! The area I pitched my tent was in about 2 inches of water and there was some water in my tent…did I mention it got down to 38 degrees during the night. fortunately my down bag did not get wet otherwise I would have been hosed…my sleeping pad took up most of the rain. I got up early to get a good start and to get out of a wet tent, stuffed my soaking tent into its bag, then into a trash bag. I skipped my hot breakfast and got out on the trail early. It was a tuff hike! Lots of ups and downs with windy and rainy conditions all morning and still only about 40 degrees, rain gear did perform very well. The climbs were pretty tough and when I would rest I would lean against a tree…in a literal sense I had finally become a tree hugger! I made it to Gooch Shelter in 4 hour (7.7 miles) and was happy with my time. I met a guy who was going to head into Suches GA, he only had a few miles to go but his hands were shaking from the cold, I was a little concerned there are people out here not completely prepared and that can be dangerous in these conditions! I am sticking to my schedule and taking it easy although I am in worst weather conditions then I expected to hit while still in Georgia, I have the right gear and I am prepared. I caught up to Agent Orange at the shelter and was happy to see him, I also found Sampson here as well, a thru hiker I have ran into 3 times on the trail. 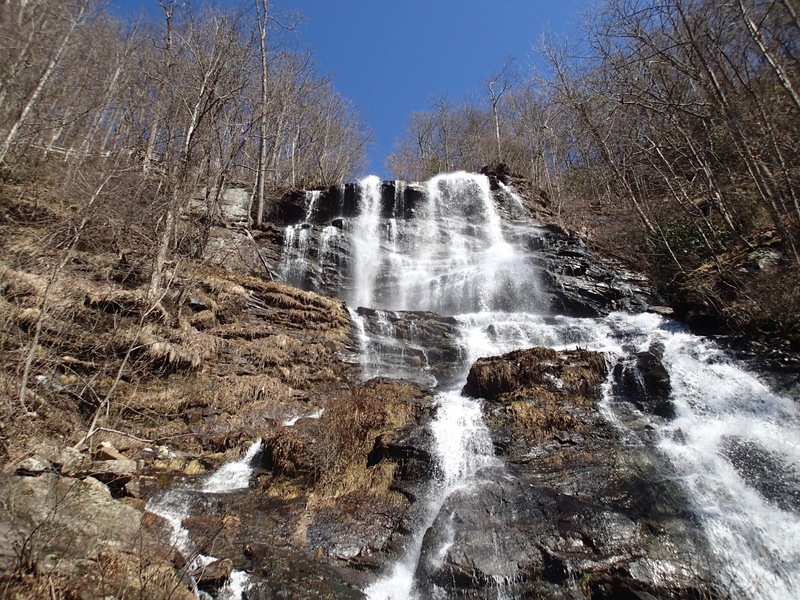 He had camped a few miles away the night it rained and got soaked…he made it to Gooch and has been drying out all morning, a few of the other hikers (father and daughters and married couple) stopped in but continued on to Gooch Gap to go into Suches GA. The 3 of us have been bundled up in our sleeping bags staying warm and talking or napping! Sampson and I have talked a little about both of us coming to Christ later in our lives and how much God has changed us, it has been great to meet another Christ Follower on the trail. It’s only 5:00PM and about time to think about organizing my back and cooking dinner…although my 2 buds are sawing logs on either side of me and I really don’t want to disturb them…so maybe a little pre-dinner nap is in order! Got off to a good start and headed out to tackle my longest day so far, 12.5 miles. Agent D got off before me (as usual) and I never catch him on the trail! It started off a little overcast but by 11:00 the sun was out and it was a beautiful day! I started having a little pain in my left knee on the down hills and had to take it slow. 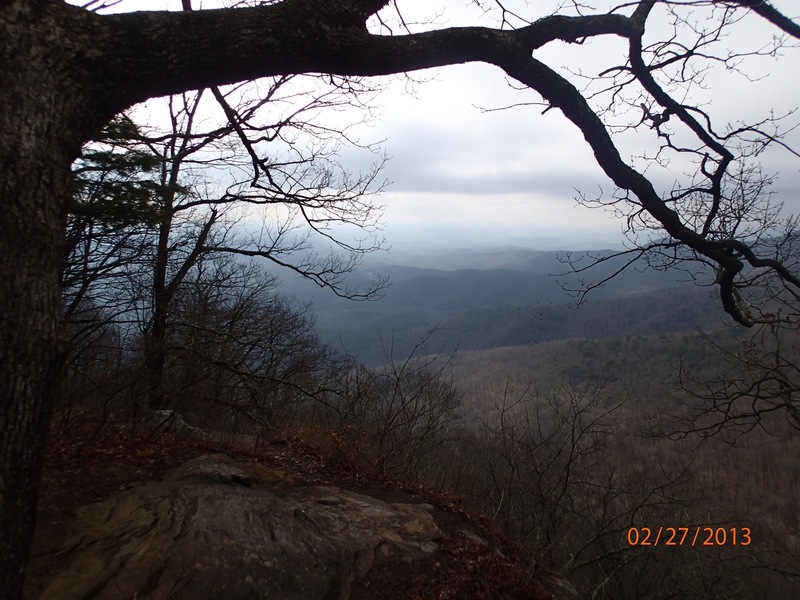 The up hills were a little tough but God saw me thru…I have a prayer or manta I coined for the trail and I repeated it on every climb: “Dear Lord, I abide by Your will, please lift my spirit, sharpen my mind and strengthen my body” it worked. It’s 7:30 at night and I am cozy in my sleeping bag, none of the other hikers from our little group have made it in so I’m hoping they are warm in their tents! 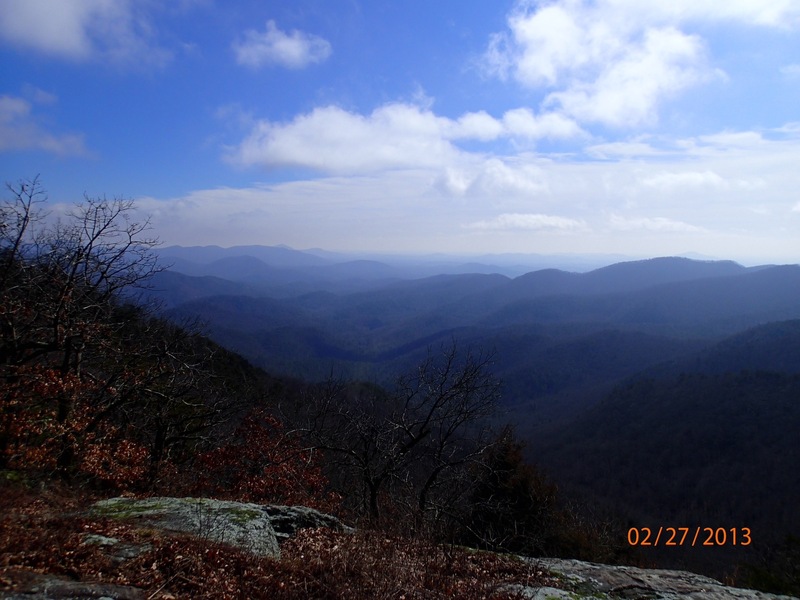 I headed into Neels Gap in the morning and made good time, plus made my highest climb so far. Chilling at the Hostel and getting rid of some gear to lighten my pack, enjoyed a nice hot shower and a pizza! I’m in awe! I am praying for safe travels & fair weather. God bless! Love being on this journey with you through your words. Spring is going to be the best one EVER for you! Hope that groundhog sees his shadow…brrrr! So glad to hear your spirit is high. Look forward to hearing more of your adventure with God! Love being on this journey with you…through your words, Pat. Great to hear your spirit is high!! Look forward to hearing more of what God is showing you on your adventure with Him. Praying for you daily! Sounds like a great start, what an adventure! Up and downs already, I am glad all your gear is working! I am sorry for the rain and low temperatures. It is also really cold where I am, but can’t imagine sleeping out in it, what a trooper! Love that you have met another believer on the trail, so encouraging! Can’t wait to read more, love your trail mata/prayer! Great pictures, have a blast and enjoy every minute! Thank you for the details. Love the mantra! Go Pat!